Headed by Claudia Vargish and staffed by three wonderful women, A Soft Idea's motto is "by women for women." The company sells throws for the home and baby blankets and sweaters. We do everything we can to give you a moment of calm and cozy in this hectic world. Classic Turkish Towels is America's #1 Turkish towel manufacturer. Since 1996 we've been supplying hotels, spas, casinos and more with our premium line of 100% Turkish cotton towels. Our manufacturing facility, Makroteks, has been Turkey's leading textile company for over 20 years, and is ISO9001 & OEKO-TEX certified. Classic Turkish Towels is a small team of less than 20 people in the United States. We have offices on 5th Avenue in New York City, as well as distribution centers all over the country. Our team is lead by Vice President Ismail Aktim, a Turkish born businessman who came to America with his family in 1993 to start a small towel business. In 1996, Ismail was able to rent a small office and begin his dream of building his own textile company. In 2018, Classic Turkish Towels is a prestigious name in the world of textiles. The company now supplies more than 150 hotels, spas, and casinos with high quality towels that their guests love, as well as donating thousands of towels per year to local and national charities. 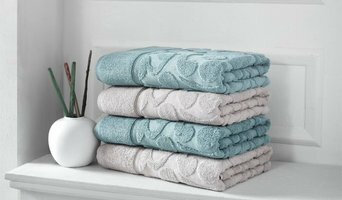 Our towels can be found on top marketplaces such as Bed Bath & Beyond, Wayfair, Amazon, & more. PangeaBed is reimagining sleep fitness with copper-infused Talalay latex mattresses for today’s active health and fitness advocates. Unlike the myriad me-too, bed-in-a-box suppliers whose mattresses virtually all utilize the same generic materials and mediocre construction, PangeaBed was designed and built from the ground-up using high quality fabrics, materials and manufacturing processes. Our industry-leading mattresses are the epitome of American craftsmanship, built with luxurious, copper-infused Talalay latex and Phase Change-Gel-infused memory foam, helping to ensure our customers enjoy the healthiest and most restorative sleep in the industry, with mattresses that are healthy, clean, hypoallergenic, ultra-supportive, cool and comfortable. Artfully crafted in America using the highest quality fabrics, materials and workmanship, the copper-infused pillows offer health-conscious consumers a cooler, cleaner, healthier and more comfortable sleep experience. Each pillow features a luxuriously soft cotton/polyester blended cover, a core layer of premium, copper-infused pure Talalay latex, and unique air flow technology with perforations designed to maximum cooling, breathability and heat dispersion. The PangeaBed pillow’s materials and construction offer optimal sanitary health benefits including anti-bacterial, anti-fungal, anti-microbial and hypoallergenic. “A full night of comfortable, healthy and restorative sleep is a multi-faceted experience that requires more than just a high-quality mattress, therefore today we are pleased to introduce our ultra-premium new line of pillows as one more key element of that experience,” said Martin Regueiro, co-founder of PangeaBed. “We are already receiving superb 5-star reviews from our customers for this pillow’s incredible comfort and support. We believe consumers will find this to be the most comfortable pillow they’ve ever owned, and we’re offering a 60-day sleep trial and a customer satisfaction guarantee to provide it.” PangeaBed is led by a team of industry experts, each with more than 20 years’ experience in the furniture and mattress industry. The company stands behind every customer, with unparalleled customer service and support, and firmly believes in its 100-percent customer satisfaction guarantee. The PangeaBed team is also committed to giving back and dedicated to improving sleep quality for all, which is why every effort is made to donate returns to local charities. Lands Downunder is an American brand based in Port Jefferson, New York known for high quality throw blankets made in Italy and “Down Under" in New Zealand. Since 2001, we've collaborated with ethical, leading suppliers from around the world to bring our customers home accessories for beautiful, inspired living spaces. We continually strive to reflect home accessory market trends, as well as improving upon our classic styles and best-sellers. Our product offerings accommodate so many varieties of home decorating styles, from traditional to modern and everything in between. We work to provide the highest quality designs, products and service. Our customers include fine gift, linens and home retailers, boutiques, monogrammers and personalization stores, commercial and residential designers, corporate gift, luxury catalogs, department stores, hotels, and large distributor organizations throughout North America and around the world. We are committed to our customers and greatly value the relationships that have developed over the years working together. Lands Downunder has received rave reviews from publications like O Magazine, Elle Decor, and HGTV. Our throws have also featured on television shows such as The Nate Berkus Show, The Martha Stewart Show, Good Morning America and HGTV Design Star. We also offer private label programs that include an extensive range of products that are tailored to client specifications. With over 13 years of experience, the Lands Downunder team is capable of providing successful corporate gift or private label programs. We know that in today's hectic world, people value the comfort and luxury that home textiles provide. We believe that these accents also help celebrate the art of personal style and expression. Lands Downunder strives to offer the finest products that help to color, layer and live. Our Couture Dreams Designs are Inspired by the fashion world, the renaissance movement, art deco simplicity and vintage elegance. Our collections are meant to meld together to creating beautiful and artistic statements. Decorate your home from rustic, contemporary to modern. 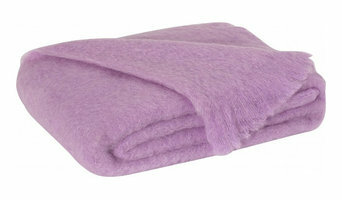 We carry High Quality Wool Pillows Blankets and Throws. 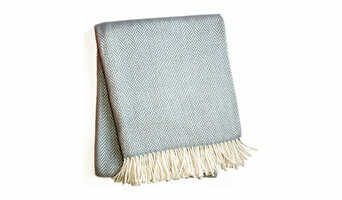 As well as Cashmere, Cotton, Bamboo Blankets. We have a wide selection of mobility aids like scooters, beds, and health accessories. Also Hospital durable goods like wheelchairs, mattresses, and equipment. We manufacture and install only the highest quality walk in bathtubs and barrier free showers. We offer anything from a walk in bathtub, to a hot tub, to a beautiful shower. We also offer full ada home improvements. Dry Flush offers a fully portable toilet that uses a cassette. The toilet is a waterless, chemical free. orderless unit that is battery operated. Each cassette provides 15 flushes or more. Wast is easily disposed in a sealed bagging system. 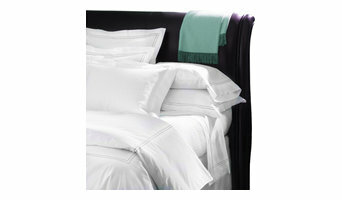 We are Professional on Home Textile Such as, bedding Sheets, Comforters, Pillows, Bed Skirts, Duvet Cover. Whether you’re looking for the latest in bath accessories and products or hunting for luxurious custom bedding, you’ll find a wide range of Water Mill, NY bedding and bath manufacturers and retailers on our Professionals pages. One of the most common problems in bathrooms is lack of storage space. Buying a bathroom vanity at your local building supply store may be the answer, but for more challenging storage solutions, you’ll want to contact a Water Mill, NY bedding and bath manufacturer or retailer that specializes in custom storage options and unique bathroom furniture and accessories. From heated towel bars to shower curtains, use the Houzz Professionals listings to find Water Mill, NY bedding and bath retailers with budget-friendly bathware and modern bath accessories. Some bathroom remodelers specialize in affordable equipment like grab bars, safety tubs and showers and other bathroom accessories designed for those with different physical needs. Does your bathroom need converting or upgrading for special needs? Is it time to wake up your master bedroom with some new bed linens? Since that very first white sale in Philadelphia’s John Wanamaker and Co. department store in 1878, January has always been a good month to buy bed linens. Those looking for hand-crafted custom bedding and draperies can find a Water Mill, NY company that makes and sells quality bed products. Many bed and bath retail outlets sell a smaller selection of exclusive brands.